When you’re in a rush, roast. When you’re in doubt, roast. Any cook worth their salt that’s had the guts to crank up their oven to over 500 degrees knows the result can be a dish with the most profound flavor and depth. 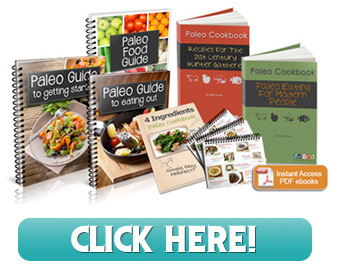 Best of all, nearly 100 stellar recipes for roasted vegetables attest to the fact that Roasting is not for meat eaters alone. The recipes for roasted vegetables begin where other books leave off… Roasted Sliced Fennel Bulb, Roasted Chinese Eggplant with Balsamic Marinade. Roasting is packed with indispensable tips, techniques, and innovative cooking ideas. 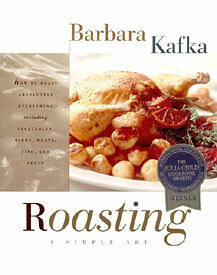 Never a believer in unnecessary work, Barbara Kafka is a new (and accomplished) cook’s best friend. She demonstrates how you can actually walk away from your oven and enjoy your food and your guests, making roasting great for more than just Sunday dinner. This is a must-have book that will early on bare the splatters, stains, and well-worn pages of constant and creative use. When it’s cold outside, nothing warms the soul better than the sweet smell of something roasting in the oven—and of course pan drippings!